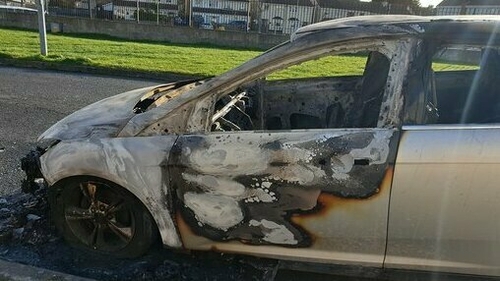 Deir na gardaí nach dóigh leo go raibh aon bhaint ag aighneas idir buíonta coiriúlachta le dúnmharú fir i mBaile Átha Cliath. Lámhachadh John Lawless (39) thart ar 6.30 ar maidin inniu. Tharla an eachtra taobh amuigh de theach ar Chorrán an Ór Mhuire i gceantar Darndáil i dtuaisceart an chontae. Bhí an fear ar a bhealach chuig a chuid oibre ag an am. Chuir lucht leighis éigeandála cóir leighis air ag an láthair sular tugadh chuig ospidéal Bheaumont é.
Fógraíodh marbh é tamall ina dhiaidh sin. Fuarthas carr dóite amach freisin ina dhiaidh sin gar go maith do láthair an ionsaithe. Tá scrúduithe dlíeolaíocha le cur ar an láthair níos deireanaí. Ba mhaith le Gardaí sa Chúlóg teagmháil a dhéanamh le finnéithe nó le haon duine a bhfuil eolas acu faoin eachtra.